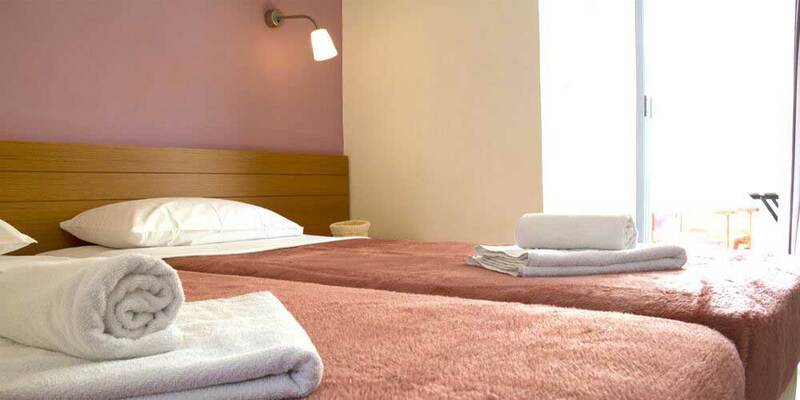 Three spacious rooms allocate three or four beds. They are ideal rooms for family vacations. They also have a terrace/balcony overlooking the mountain and the picturesque courtyard. Maximum room capacity up to 4 guests.